Lenin Collected Works, Volume 23, pages 365-366. The Collegium Abroad of the R.S.D.L.P. Central Committee resolves to accept Comrade Robert Grimm’s proposal concerning the return to Russia via Germany of émigrés desiring to return home. 6) That the representatives of certain trends have, unfortunately, urged further delay—a decision which we can not but regard as a grave mistake, and one that does immense damage to the revolutionary movement in Russia. In accordance with these considerations, the Collegium Abroad of the Central Committee resolves to notify all members of our Party of the acceptance of the proposal and of our immediate departure, and to invite them to register all who wish to make the journey, and send a copy of this decision to the representatives of all other trends. The decision was signed by Lenin, and also by G. Y. Zinoviev. 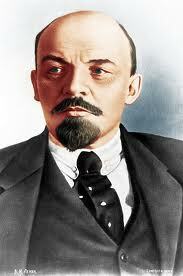 Lenin began to make arrangements for returning to Russia as soon as the news of the February Revolution was confirmed. “I’m beside myself at the thought that I cannot go to Scandinavia! I cannot forgive myself for not having risked going there in 1915,” he wrote to Inessa Armand on March 2 (15), 1917. Both the Provisional Government and the Allies, England and France, took measures to prevent the internationalists returning to Russia. The Russian police drew up a black list of persons subject to arrest at the frontier. Most of the names were those of Zimmerwald internationalists, opponents of the imperialist war. Only defencists were allowed to enter the country. Knowing that his return would encounter formidable obstacles, Lenin weighed the possibility of travelling on someone else’s passport. He discussed this in letters to V. A. Karpinsky in Geneva and J. S. Hanecki in Stockholm. At a private meeting of the Russian Party centres in Berne on March 6 (19), Martov suggested travelling via Germany in exchange for Germans interned in Russia. The plan was eagerly supported by Lenin, all the more so that, on March 11 (24), the Russian Legation in Berne had held up permits for the return of a number of émigrés. Robert Grimm, a Social-Democratic member of the Swiss Federal Council, negotiated with the German Minister in Berne permission for Russian political émigrés to make the trip through Germany. In view of Grimm’s ambiguous attitude, the Bolsheviks asked Fritz Platten, a Left Zimmerwaldist and Secretary of the Swiss Social-Democratic Party, to take over the negotiations. The German Government agreed to the terms proposed by Platten and drawn up by Lenin: the group would be accorded ex-territorial rights on German soil; would not be subjected to customs inspection or political verification; the German authorities would deal only with Platten, who was to accompany the Russians throughout the journey. The group left only on March 27 (April 9). The delay was caused by the Mensheviks demanding prior agreement by the Provisional Government or the Petrograd Soviet to exchange Russian émigrés for German internees. Yet, it was perfectly clear that the Provisional Government, taking its cue from the British Government, would do everything to impede the return of these determined revolutionary opponents of the imperialist war. The Bolsheviks therefore decided to leave immediately. The terms and procedures agreed upon were duly recorded in a protocol which was communicated to Left Zimmerwaldists in Germany—Paul Levi (Hartstein), France—Fernand Loriot and Henri Guilbeaux, Poland—M. Bronski, and Switzerland—Fritz Platten. “We the undersigned are aware of the obstacles the Entente governments have created to the return of the Russian internationalists. We are aware of the terms on which the German Government has permitted their journey to Sweden.... The undersigned internationalists of France, Switzerland, Poland, Germany, Sweden and Norway believe that our Russian comrades not only have the right, but also the obligation to avail themselves of this opportunity to return to Russia. We wish them every success in their struggle against the imperialist policy of the Russian bourgeoisie—a struggle that is part of our common fight for the emancipation of the working class and for the socialist revolution.” The statement appeared in the Swedish Left Social-Democratic Politiken of April 15, 1917 (No. 86). “5. that Platten has guaranteed my trip only to Stockholm. Lenin was the first to sign the statement, during the train journey from Berne to Zurich. The possibility was thus precluded of anyone pleading ignorance of the consequences of his participation in the journey and laying the blame on its organisers. The text of the statement suggests that Lenin had a share in drafting it. The group left on March 27 (April 9); on March 31 (April 13) they arrived in Stockholm, and on the same day Lenin left for Russia via Finland.